An obsession with notions of historical struggle, not only over political power but also meaning and memory, led us to an interest in the former Yugoslavia. There you can find towering monuments of abstract art erected by Tito in an attempt to constitute a new identity rooted in political collectivity rather than ethnic particularity. In neighboring Bulgaria sprout an entirely different set of physical remainders of a deeply contested history. They stand imposing and forlorn dotted across the countryside, looming like decaying alien spacecraft over factory towns and desolate mountain peaks. It was really Nikola Mihov’s book, Forget Your Past, that ultimately inspired us to explore further the notion of contested spaces in an era of neocolonialism and capitalist realism. In one sense, the Irony. Utility. Pretext. video problematizes the rise of “ruin exploitation”, a strand in photography that occupies a suspiciously colonial position wherein “white creatives” invade decaying towns such as Detroit or Gary to capture images for their own atomistic meditations. Such photography in former communist countries adopts an additional triumphalist air, ringing in the end of history and the supremacy of neoliberal capitalism. The images provide interesting parallels with the lyrics, confronting both the age-old fetishisation of the musical artifact and the neocolonial prism of development economics. In the former, ghetto artforms from Lagos to Detroit are wrenched from their social and political contexts and whitewashed for Western hyperconsumption. In the latter, a new set of educated cosmopolitans wielding the language of human rights replace our former colonial masters. Themes of death and decay are unavoidable in this context, mimicking capital, stalking us in our sleep in search of ever increasing profits. In the end, it is the words of revolutionaries such as Robespierre, Angela Davis and Fred Hampton that flash across the screen to remind us of the precarious nature of the search for freedom and truth in these oppressive times. 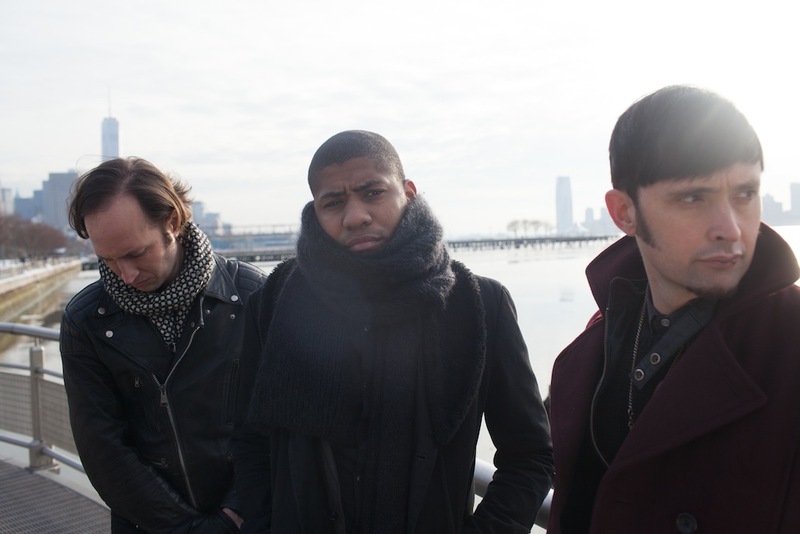 On June 2nd, Matador is releasing Algiers’ self-titled debut album. Steeped in radical politics and deeply indebted to post-punk’s sonic trailblazing and gospel’s spiritual bloodletting, the album imbues neo-modernist hymns with caustic social sentiment and explosive noise. 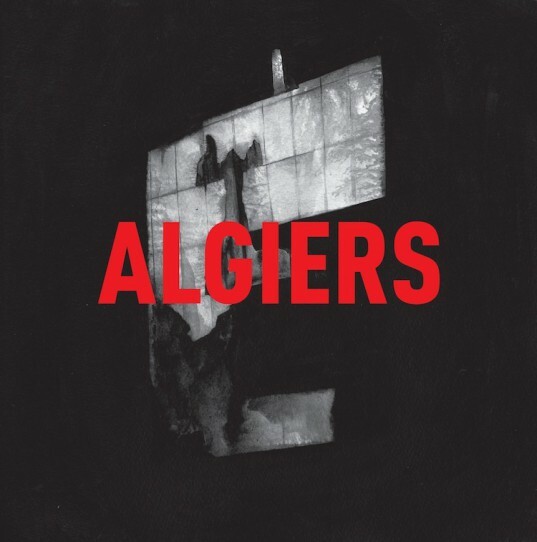 A trio of émigrés of the American Deep South, now split between New York and London, Algiers synthesizes its eclectic influences, from Nina Simone and PJ Harvey to Suicide and Public Enemy, into frightening new forms. 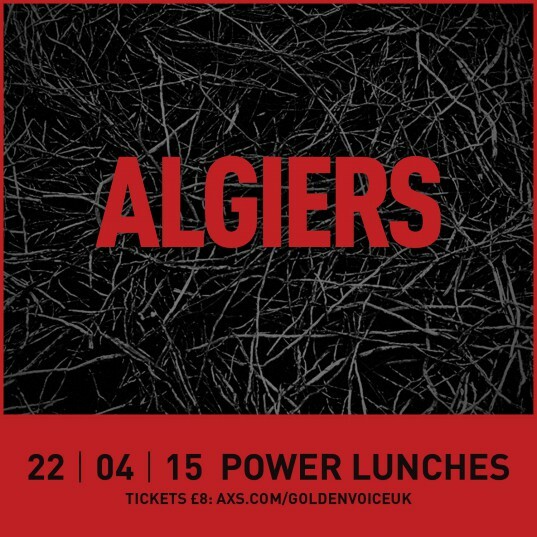 Algiers also announced tour dates, including a run of shows with Interpol in the spring. The band will tour the United States extensively later this year.